In the understandable rush to offer customers a great omnichannel retail experience, it would be a mistake for companies to lose the human touch. 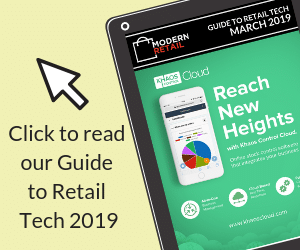 If the balance is tipped too much towards tech, then retailers won’t be providing customers with the sort of experience that surveys say they want, which involves human connection. It’s been a thrilling ride, seeing the impact of tech innovations in retail: the consumer insights provided by AI, for example, and the convenience of customers being able to shop without having to leave the comfort of their sofa. But shopping with little or no human interaction can only deliver so much. Customer service – and a friendly, efficient service – must be maintained across all channels. If you’re seeking evidence to back this up, look no further than PwC’s global survey, Experience is Everything. In it, 82% of top performing companies report paying close attention to the human experience around digital and tech – and these companies are seeing a price premium to getting their omnichannel experience right. At the other end of the scale, there’s a huge disconnect between people’s customer service expectations and their actual experiences. And, in today’s unforgiving consumer environment, they’re walking away from those brands that aren’t matching up to their expectations – a third of the consumers in the PwC survey said they would drop a brand after just one bad experience. So, what do consumers expect? Their top 10 wish list, in this order, is: efficiency, convenience, friendly service, knowledgeable service, easy payment, up-to-date technology, loyalty programme, human interaction, unique experience and personalisation. The 5 five factors that drive them away are equally informative: bad employee attitude, unfriendly service, untrusted company, unknowledgeable employees, and inefficiency. The human touch, says the report, is “the one big connector” behind great customer service, and this means companies “making technology feel more human and giving employees what they need to create better customer experiences”. Sounds obvious, right? According to PwC, 46% of consumers will abandon a brand if its employees are not knowledgeable. And yet one of the biggest complaints from consumers is the disconnect across the communication channels, with different information being pushed out or staff not being up to speed. Retail assistants aren’t super human, they need help with up-to-the-minute knowledge on products, prices, availability and policies on issues such as how to deal with a return or a complaint. Relevant knowledge should always be to hand. A mobile device with all the latest information allows employees to deliver an efficient customer service with the all-important human touch. Consider a microlearning app or platform that your staff can access on demand. Daily, bite-sized reminders and updates deliver and reinforce knowledge in a way that doesn’t disrupt the work shift. Increasing knowledge and confidence within the workforce is critical for employee experience too – and in keeping customers loyal to your brand. Being personable, having enthusiasm and exhibiting empathy are skills that are often under-valued. If your retail assistants have these in their skillset, then you’ll have every chance of keeping your customers happy. There are ways you can embed these skills across your teams. In a slightly different context, but nonetheless relevant, Sponge was invited by AXA Business Insurance to design and deliver a customer service learning campaign for the company’s associates at its contact centre in Glasgow. The Inspiring Customer First campaign guided associates on how to hold meaningful conversations with customers so that they truly understood their needs and were therefore able to deal with them efficiently. An important part of building the training was working with subject experts to create the core content on topics such as emotional intelligence and using positive language. Consider a blended campaign that uses a mix of training methods and which involves team leaders for ongoing support and coaching. The best way to develop an understanding of customer experience is to put yourself in your customers’ shoes. So why not put your staff on the other side of the transaction process? With Toyota, Sponge created a custom-built, first-person, interactive video that did just that. Employees could experience for themselves the benefit of positive customer service interactions at various stages of the journey and were able to learn the appropriate actions needed. Consider using immersive, realistic learning that takes your employees on every step of the customer journey to give them a real insight into the customer experience. In the PwC survey, almost three-quarters (71%), of consumers said employees have a significant impact on their overall customer experience. The message couldn’t be clearer: Yes, tech has opened up new ways for us to consume. But its role is only as an enabler in a seamless omnichannel customer experience. It’s people who drive it.